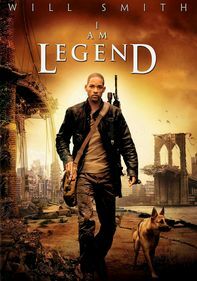 After her triumph in the Hunger Games, Katniss Everdeen begins a new life and confronts more danger in this sequel to the postapocalyptic fable. As Katniss travels through the districts on a "Victor's Tour," a rebellion gathers steam around her. Parents need to know that The Hunger Games: Catching Fire is the second installment in the Hunger Games trilogy. 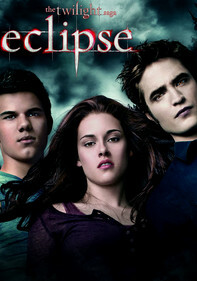 Although the book series is extremely popular with tweens and even younger elementary-school readers, the movie may be too dark and violent for even mature tween readers. The violence includes deaths by stabbing, shooting, animal attacks, and poison, as well as torture, threats, and explosions. The language includes "s--t," and one bleeped out use of "f--k" and other expletives. There's more romance in Catching Fire as Katniss struggles with her feelings for both Peeta and Gale. Alcohol is present in a few scenes (Katniss takes a drink), and there are references to painkiller addicts. 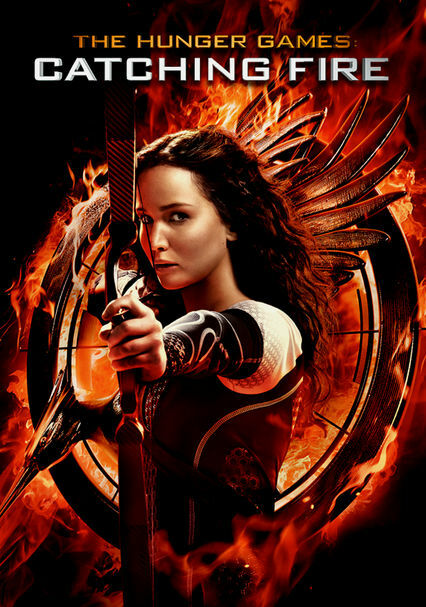 Katniss is a flawed but excellent role model for teen girls, and the movie offers many discussion points about politics, war, feminism, and materialism. More kisses all around for Katniss, who kisses both Gale and Peeta a few times each -- one scene with Peeta is particularly passionate. As in the book, Johanna Mason strips naked (only her shoulders and others' reactions are visible) in front of Haymitch, Katniss, and Peeta after flirting with Peeta and asking "What's it like to have everyone in the Capitol want to sleep with you?" Like the original, Catching Fire contains violence in the Games and out of it, though quick edits avoid the most brutal moments. 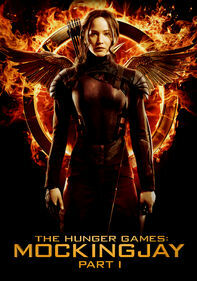 The Games consist of previous Victors, so the youngest contestants are 17-year-old Katniss and Peeta. Government "Peacekeepers" viciously torture Gale, strike Katniss, and kill civilians throughout the Districts (some deaths occur just off camera). 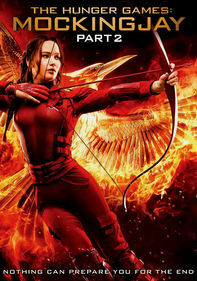 A black market is ransacked and Katniss' loved ones are threatened. During the Games, the contestants are stabbed, poisoned, drowned and killed in various ways. Katniss, Finnick, and Peeta are covered in boils after being exposed to a poisonous fog. There are a few moments like when the monkey muttations attack that will make audiences jump in their seats. There are also several scenes of people in the Districts rioting. More language than the original, including "s--t," and bleeped out use of Johanna's "f--k" filled tirade on the Caesar Flickerman show. Many thought-provoking messages and themes about totalitarian government, the importance of symbols to causes and movements, the will to survive versus the courage to sacrifice yourself, the lives of the few versus the greater good for all, and more. Depending on the age of your kid, you can discuss everything from the gluttony of privilege to the seeds of revolution to the need for people to stand up for others. 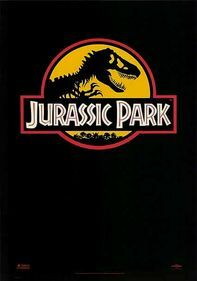 No brands featured in the movie, but the film has merchandise tie-ins including apparel, accessories, nail polish, games, and figurines. Haymitch is known for drinking excessively and is often shown drinking or with a drink in his hand. Katniss takes a swig after bad news. People drink at Capitol parties, and one Capitol partier offers Peeta a drink that will make him vomit so he can keep eating. The District 6 Tributes are called "The Morphlings," because of their addiction to the narcotic painkiller.